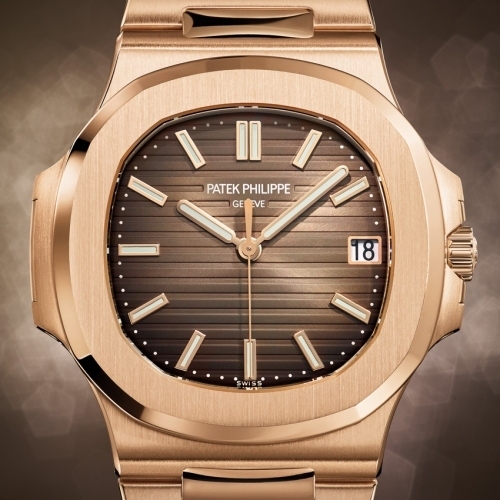 A watchmaking legend, all dressed in gold. 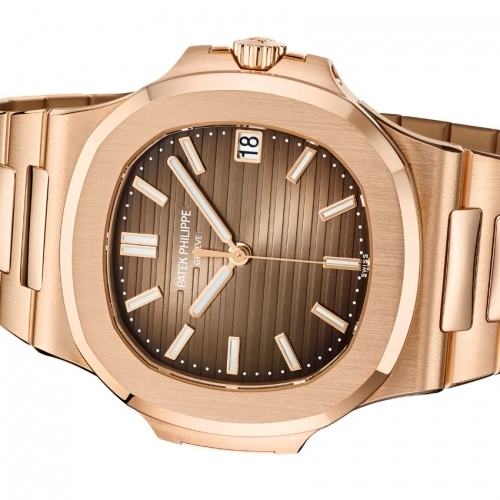 Forty years after its creation, the Nautilus by Patek Philippe appears for the first time clad head-to-toe in pink gold. 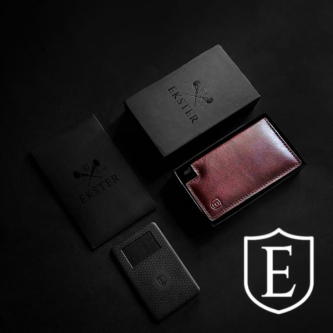 After paving the way for luxury watches in steel, it now lends itself with the greatest of ease to a more precious guise in a version without complications. Patek Philippe has refined the links in the metal bracelet for greater comfort and to reduce the weight, an important factor when working with gold. Complementing the warmth of the pink gold, Reference 5711/1R comes with a gradient dial in brown-black that also bears the characteristic horizontal stripes of the collection. The three-hand automatic movement is hallmarked with the Patek Philippe Seal and has the benefit of a Spiromax® silicon balance spring. Mechanical automatic, 324SC calibre, 29 jewels, 28,000 vib/h, up to 45-hour power reserve. 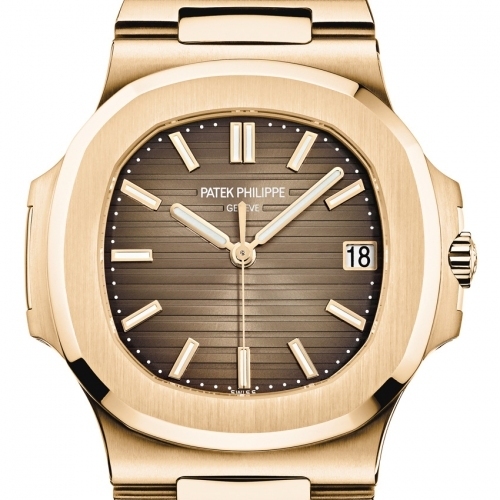 18k pink gold, 40 mm. Anti-reflective sapphire crystal and sapphire back. Water-resistant to 120 metres (12 bar/395ft). Gradient brown-black with applied gold hour-markers. 18k pink gold with pink gold safety folding clasp.